Experience the pre-war life of Confederate General Thomas J. “Stonewall” Jackson. 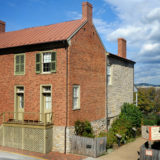 Historic home, garden and museum shop.